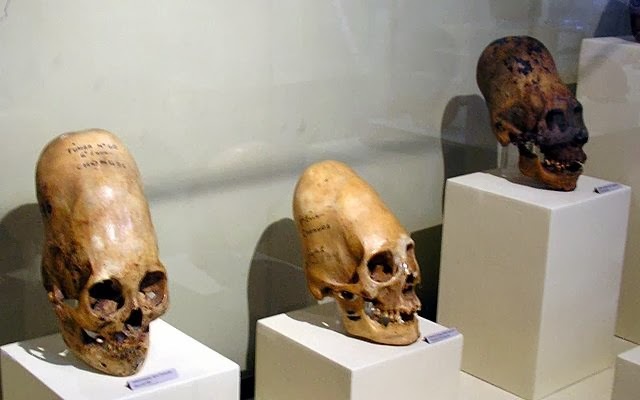 Elongated skulls from Paracas, Peru. 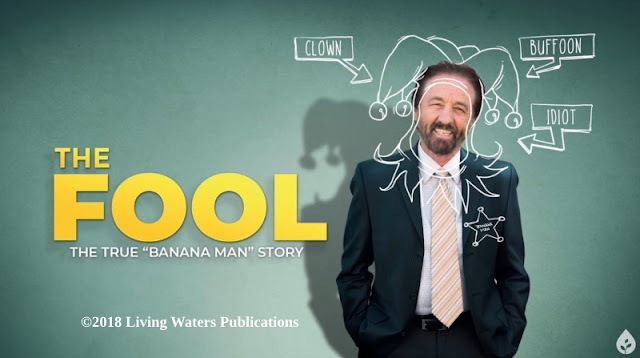 Using uninformed opinions and presuppositions, some people think they're aliens. Others think they're an evolutionary branch of humans. Based on their faulty assumptions and reasoning, some extremely doubtful science (including incomplete DNA sequencing) has been performed. We've been down this road before. Early mtDNA sequencing for Neanderthals had people believing that they were very different from modern humans. There was also the fiasco of "junk DNA". Both of those involved making claims based on assumptions and incomplete evidence. In the case of the Paracas skulls, it appears that some profiteering is afoot. It does not help matters that the scientist doing the DNA analysis is unnamed. But you can make a donation if you believe that the analysis is worthwhile. This story began with archaeologist Julio Tello’s 1928 discovery of 429 mummies in the subterranean necropolis at Wari Kayan on southern Peru’s Paracas Peninsula. Interred sitting in baskets, the dessicated bodies were swaddled in colorful fabrics, some richly embroidered. Pottery and textiles from the site resemble those of Peru’s Nasca people. Archaeologists think the Paracus Necropolis Culture probably dates to sometime in the first two centuries AD. The people buried at Wari Kayan had conical, extremely elongated skulls. Their faces were normal, and the cranial deformation is typical of that produced by infant head binding, a common practice among ancient societies. Tour guide Brien Foerster and David Hatcher Childress—a prolific author of self-published books about mysterious phenomena—weren’t content with the historical place of these people. They decided the skulls were so unusual they couldn’t be as human as you and I. They co-authored the book The Enigma of Cranial Deformation featuring a Paracan skull on the cover. In the book they quote 19th century doctor Johann Jakob von Tschudi who claimed the “wormian” bone found on the skulls of many South American natives was evidence they were of a primitive race. The wormian bone is an extra bony plate that forms within a cranial suture line. (Sutures are immobile joints that fuse skull bones together once a child’s head has finished growing.) Of course the wormian bone, found in a variety of disease and non-disease states, has nothing to do with being members of a primitive “race”! You can read the rest of "Ancient Humans of Paracas Are Victims of a Twisted Tale".